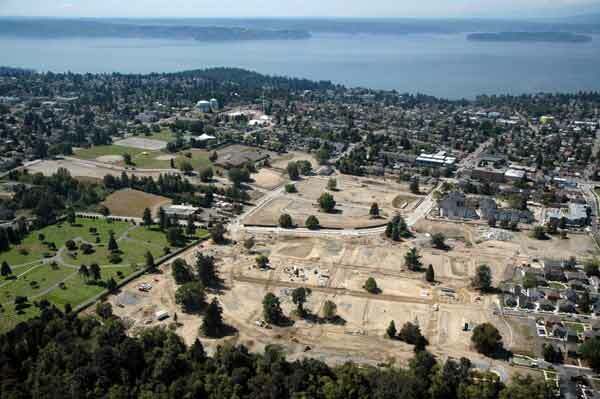 Located adjacent to one of Seattle’s most sensitive natural resource areas, the redevelopment of the High Point Garden public housing project in West Seattle, Washington, is a model for innovative and inclusive sustainable community development. The redevelopment project highlights the importance of a community-driven planning process, the synergy between the principles of low-impact development and New Urbanism, and the benefits of innovative resource- and energy-efficient building design and construction. Initiated with a $35 million HOPE VI grant from HUD, High Point embodies the goals of this ambitious federal program: to transform the physical and social dimensions of the nation’s most distressed public housing developments. 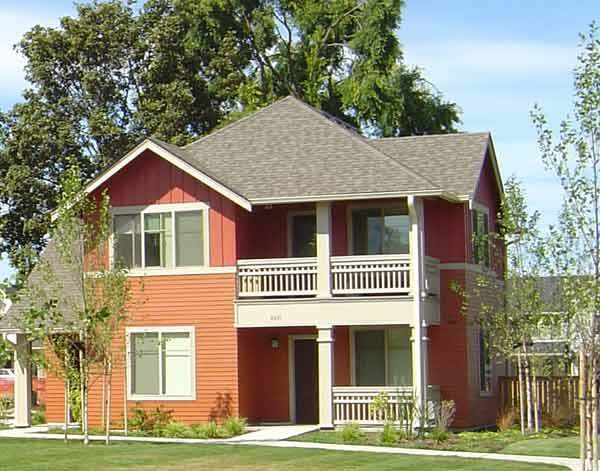 The Seattle Housing Authority (Housing Authority) managed the $550 million redevelopment, which includes approximately $285 million in private investment, to provide more than 1,600 mixed-income housing units and enhanced community services over a period of 10 years. Originally built during World War II under the Lanham Act, the High Point Garden Community was an ideal location to house the influx of defense workers supporting the war effort.1 West Seattle is located southwest of downtown Seattle on a peninsula defined by Puget Sound to the north and west and the Duwamish River to the east. The site sits approximately 500 feet above sea level on a slope that descends in a northeasterly direction and abuts Longfellow Creek to the east.2 The creek is home to salmon spawning grounds, and its protection was (and remains) a high priority for city officials, nonprofit organizations, and Seattle residents. As High Point declined, the Housing Authority examined the possibility of rehabilitating the existing housing units. However, given the scale of the necessary improvements and its limited capital budget, the agency deemed the rehabilitation project infeasible. The only real possibility of redeveloping the site would come from securing a HOPE VI grant from HUD, which would provide a portion of funding for the rehabilitation and serve as critical leverage in securing additional public financing and private investment.12 In June 2000, HUD awarded the Housing Authority a $35 million grant to redevelop the existing High Point Garden community into a mixed-income neighborhood. Create a Community of Open Spaces. 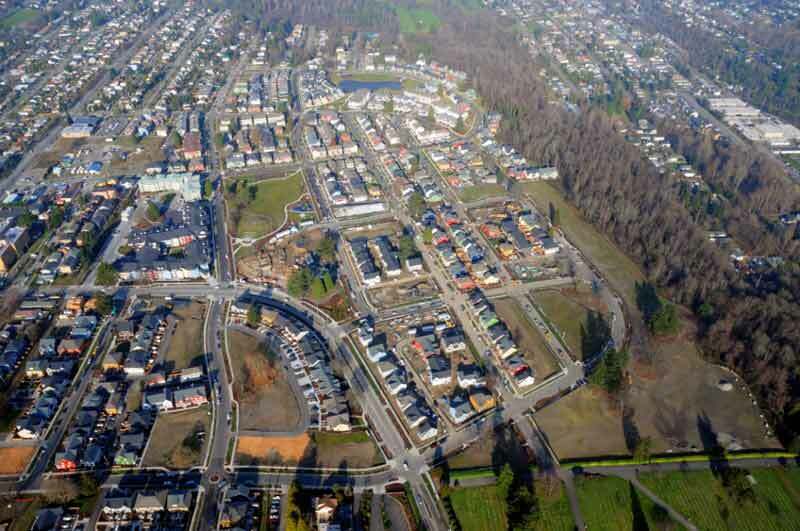 Based on these guiding principles, project goals were established to realign the High Point street network with that of the rest of West Seattle, ensure that housing units throughout the development would be mixed-income and serve all ages, provide a network of pedestrian-friendly infrastructure tied to parks and open spaces, and create high-quality community services. Protecting natural resources was another top priority; the development incorporated an innovative natural drainage system to minimize stormwater runoff and protect the salmon habitat of Longfellow Creek. High Point garnered more than $550 million in financing over more than 10 years, of which $285 million came from the private sector. Of the remaining financing, $35 million came from the initial HOPE VI grant, $106 million came from other public funding sources, $68 million came from tax-exempt borrowing, and $56 million came in tax credit equity. The High Point project was developed in two phases, with construction of Phase I beginning in 2004 and Phase II beginning in 2006. 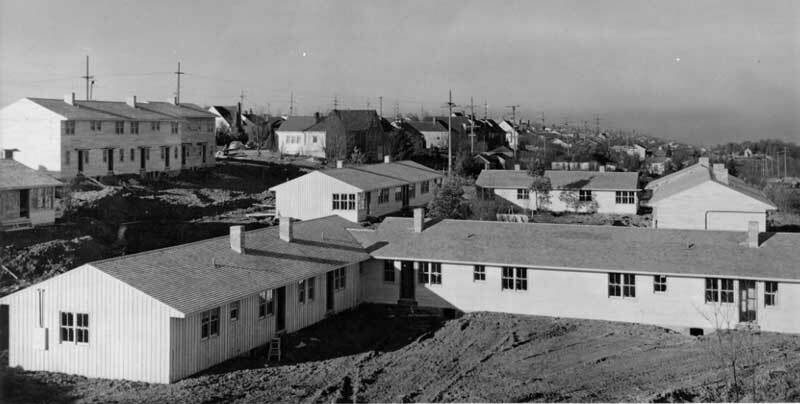 As the master developer of the project, the Housing Authority removed the existing public housing on the site, financed the infrastructure, and was responsible for the creation of 600 affordable housing units. 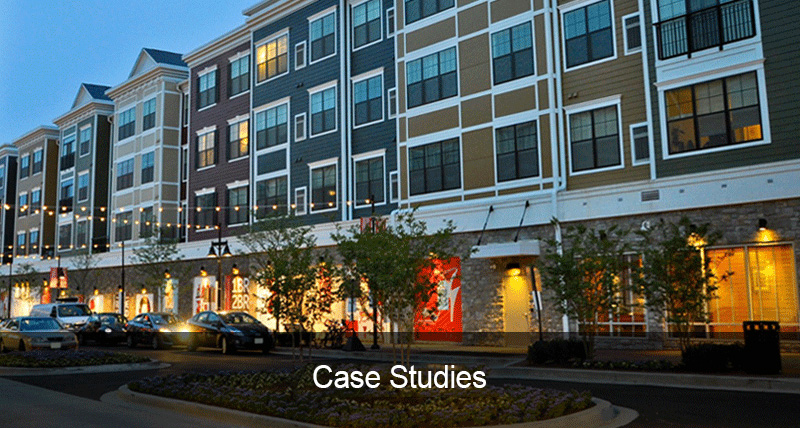 Sustainability at High Point goes beyond incorporating low-impact development strategies and New Urbanist principles. The development’s construction embodies sustainability through resource conservation, energy-efficiency strategies, and innovative techniques developed to support improved health in children. 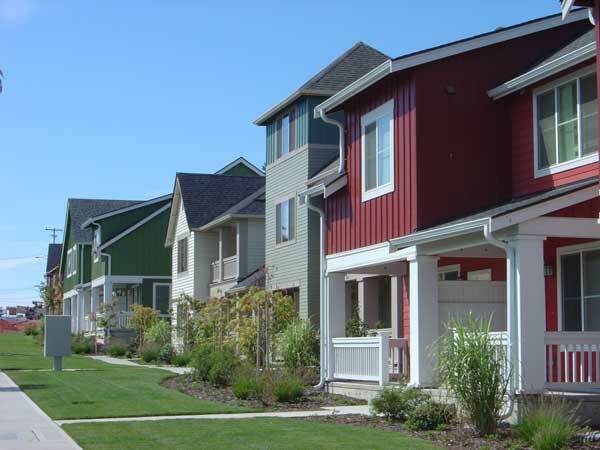 All of the housing units at High Point are built according to King County’s Built Green 3-star standard, a regional building and neighborhood certification program established by the governments of King and Snohomish counties in partnership with the Master Builders Association. 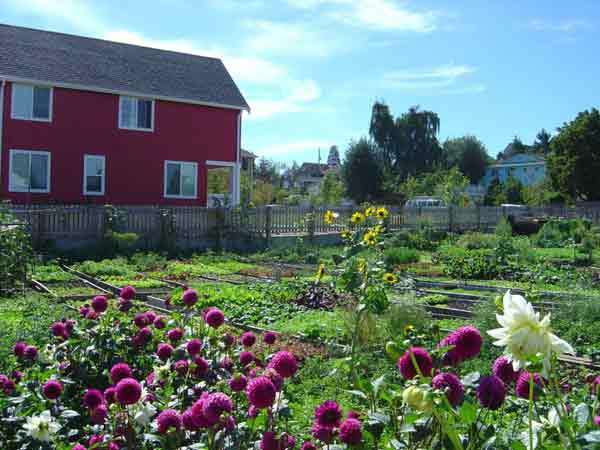 The program certifies buildings and entire neighborhoods based on sustainable design, construction, and operations with respect to site development, energy efficiency, indoor air quality, and construction materials. Similar to LEED, Built Green certification is earned through points awarded to a project for meeting established criteria. In addition to the Built Green standards, the development team at High Point also pioneered the construction of 60 Breathe Easy homes to reduce the risk and severity of asthma in children. This is especially important because research shows low-income and minority children are disproportionately exposed to allergens and irritants associated with poor air quality in substandard housing conditions.30 The Housing Authority partnered with Neighborhood House, the University of Washington, King County public health officials, and other nonprofit organizations to get a Healthy Homes grant from HUD and additional funding from the National Institute of Environmental Health Sciences (NIEHS) and Enterprise Community Partners (Enterprise) to implement the program. Breathe Easy homes reduce the risk factors that contribute to childhood asthma through advanced ventilation systems, low off-gassing home construction materials, and the elimination of materials such as carpets and curtains that capture indoor air quality irritants.31 The HUD, NIEHS, and Enterprise grants funded the Breathe Easy interventions, as well as resources devoted to research and evaluation. 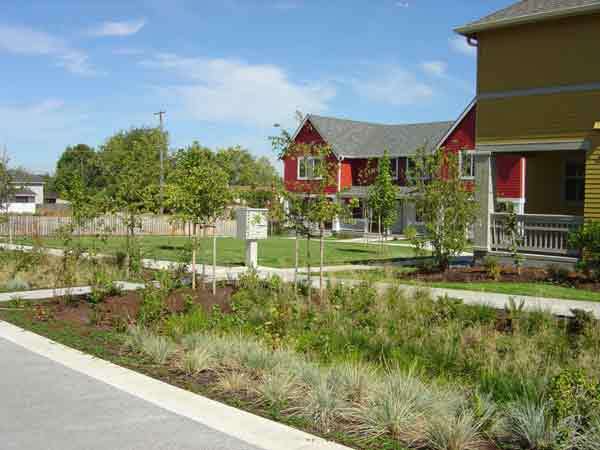 The transformation of High Point from a severely distressed public housing site to a model of sustainable community development has earned the project numerous awards and honors, including the 2006 HUD Secretary’s Award for Community Informed Design and the Urban Land Institute’s 2007 Global Award for Excellence. And although these accolades underscore the process, innovation, and quality of the design and construction at High Point, the measureable benefits in terms of energy savings and improved health outcomes further highlight the project’s success. * The housing units used for the comparison across all three developments are only those with electric space and water heating. ** Table Source: Enterprise Community Partners. 2009. “Sharing the Benefits of Building Green: A Study of the High Point Community," www.cedarrivergroup.com/projects/high_pt_bldg_green_rpt01-21-09.pdf, accessed 18 March 2012. Beyond the measurable benefits, the greatest lesson from the High Point redevelopment is the importance of community involvement, strong local leadership, and public-private partnerships in facilitating successful community redevelopment. Many of the innovations at High Point are a direct result of close collaboration with the residents of High Point and the surrounding community, and were implemented through strong working relationships among the Housing Authority, city officials, private developers, and nonprofit organizations. Table Source: Seattle Housing Authority. Redevelopment Plan. Seattle Housing Authority Website: http://www.seattlehousing.org/redevelopment/high-point/plan/. Bruner Foundation. 2007. “High Point Redevelopment,” www.brunerfoundation.org/rba/index.php?page=2007/highpoint, accessed 18 March 2012. Seattle Housing Authority. 2002. “Final Environmental Impact Statement: High Point Revitalization,” www.seattlehousing.org/redevelopment/pdf/HP_FEIS.pdf, accessed 18 March 2012. Tom Phillips and George Nemeth, Seattle Housing Authority, Email Correspondance 21 November 2011. Rachel Garschick Kleit and Jennifer Allison. 2002. “HOPE VI for High Point Baseline Report,” Daniel J. Evans School of Public Affairs, University of Washington. SVR Design Company. 2006. “High Point Community Site Drainage Technical Standards,” www.svrdesign.com/docs/High-Point-Technical-Drainage-Standards_LID_GSI_green-stormwater-infrastructure_web.pdf, accessed 18 March 2012. Environmental Works. 2010. 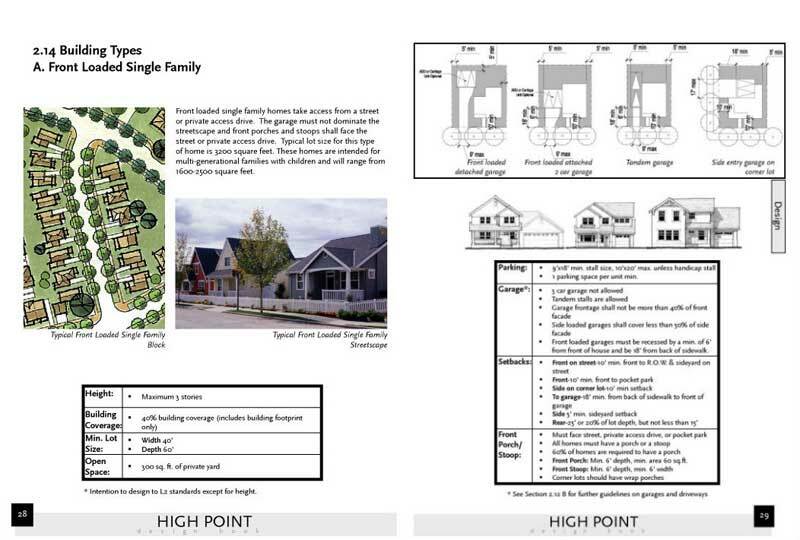 “Neighborhood House High Point Center: Case Study,” www.eworks.org/highpoint.pdf, accessed 18 March 2012. “Sharing the Benefits of Building Green: A Study of the High Point Community” Enterprise Community Partners. January 2009. T.K. Takaro, J. Krieger, L. Song, D. Sharify, and N. Beaudet. 2011. “The Breathe-Easy Home: The Impact of Asthma-Friendly Home Construction on Clinical Outcomes and Trigger Exposure,” American Journal of Public Health 101(1), 55–62..